I have been CEO, CTO or board member of both a small start up and a large enterprise these last 10 years. Every budget year has been about achieving economic growth and meeting objectives. I have never seen “cost” reduction as a primary objective. Cost reduction might show up as a secondary objective: either as a way to free up resources to fund innovation, or as a logical step to improve margin after the main objective has been achieved. I’ve never been to a board meeting or operations review about cost reduction. It’s always about growth objectives. Sure, we review the budget, but as a CxO – that is just the basics–We are expected to stay on budget. It’s like wearing clean clothes to work; of course you should, but that’s not the job. Business success is all about innovation. Growth does not occur without innovation. Innovation feeds on investment—So where do those resources come from? The good news: You likely already have the capital. You just don’t see it, because because it’s stranded into a pile of amorphous activities and legacy maintenance. You are probably using those resources to address the daily routines that keep the lights on. Like patching long-time legacy apps with spit and baling wire. Like managing your aging application implementations from a rattling, smoking collection of dashboards and consoles. It’s a fact that 70 to 90 percent of IT budgets are earmarked for “run operations,” otherwise known as Keeping The Lights On. This is where your innovation capital is stranded. These resources can be freed up by cloud products and services to make your organization faster, more agile—more innovative. 1. Freedom to experiment. The cloud allows you to run more experiments due to lower start up capex costs per idea tried. For every executive, using cloud to demonstrate early success and scale, all with a provident solution, is the equivalent of having the Sword of Excalibur when next year’s budget battle gets going. 2. Freedom to Fail (Quietly). It’s true that we celebrate innovation, but there’s also a very real tendency to punish failure. The desire to experiment is quashed and promising ideas don’t get considered if they are seen as too risky. Meanwhile, other projects get over-funded to mitigate risk, or they wheeze forward on life support because no one wants to admit failure. In both cases, working capital that could be used for interesting initiatives is unavailable. Too bad, because the ability to run small projects without capital expenditures represents freedom to fail, allowing experiments to succeed step by step or to be shut down quickly, thus avoiding the three-year run to equipment depreciation. 3. 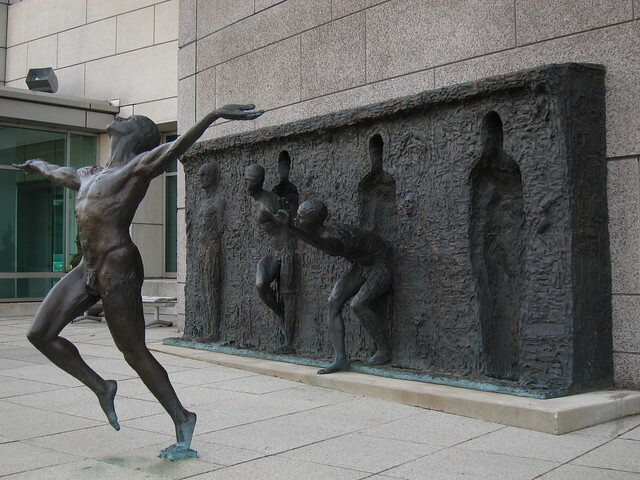 Freedom to be agile. I’ve been a startup guy, founder of VC-funded newScale, which was acquired by Cisco in 2011. My background is all about competing against incumbent behemoths with established reputations and customer relations. So how do startups compete? By moving fast, running faster than the competitor’s innovation cycle time, and marshaling superior domain expertise at the point of sale. Large companies have a hard time competing against such agility unless they are agile themselves. Cloud represents the opportunity for large organizations to streamline—getting rid of all kinds of friction in the innovation process and enabling senior management to focus on core problems and differentiated valued-added efforts. This can happen through offerings such as on-demand infrastructure or platform as a service, which can save months of configuration and planning; software as a service, which delivers a solution ready to go; and business process as a service, which gets us away from reliance on hardware, software and operations. The ability to strategically have these as-a-service tools in your innovation toolkit is a game changer.